Manchester United defender, Daley Blind believes his new teammate Romelu Lukaku can fire Manchester United to his first league title in five years after joining the Red Devils this summer in a deal worth £75 million from Everton. He has been prolific in front of goal since joining the Red Devils scoring six goals in as many games he has played. Lukaku has had a brilliant start to his Old Trafford career and has been tipped to fire the Red Devils to the title by both the fans and club Legends. The Dutchman has won every possible trophy available in England barring the Premier League title, he has won the FA Cup, EFL Cup and Europa League and he hopes his new teammate can lead the Red Devils to glory this season. Blind told Skysports, “[Lukaku is] very important [to our title hopes]. He is already important for us. “Winning the title is always the aim at Manchester United, you want to win trophies. Last year we win trophies, the year before we won trophies. “In England, the Premier League is the thing I am missing, so maybe [we can win], that’s what we fight for,” he added. The 23-year-old was instrumental for the Toffees last season, scoring 25 goals in the League as he guided Everton to a seventh place finish in Ronald Koeman’s first season in charge. 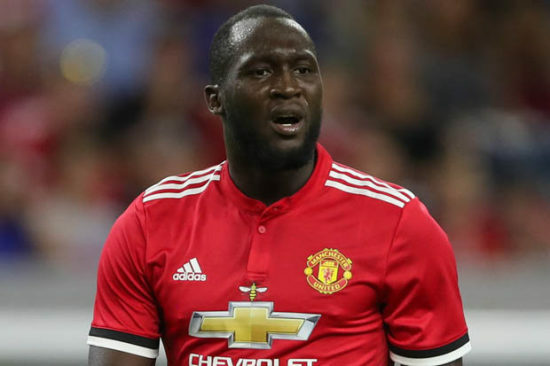 Lukaku is a powerful and bullish striker known for his finishing, pace and positioning, he has averaged one goal per game since joining the Red Devils and if he continues scoring at this rate, he can fire Manchester United to their first League title in five years under the Special One.